Peru is full of amazing wonders, particularly if you love mother nature and the great outdoors. 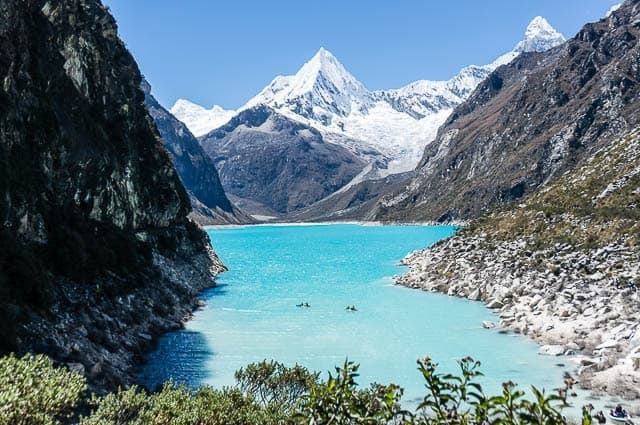 After spending three months traveling across the length of the country from north to south, there are a number of places that stand out as being incredible, but none of them really compare to the Cordillera Blanca mountain range, in my mind. 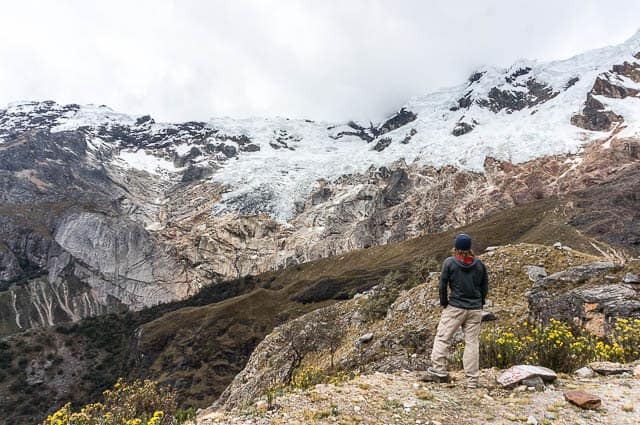 Peru’s Cordillera Blanca is a place of wonders which constantly had me cranking my neck one way or the other as I took in the snow, glaciers, lakes, and towering rock walls. 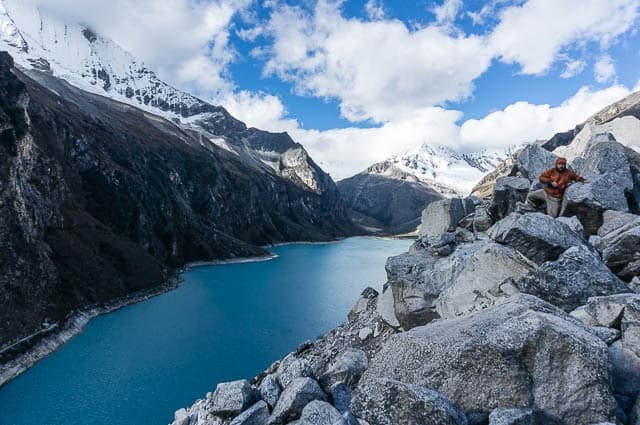 The Cordillera Blanca (which means the “White Range” in Spanish) sits in the northern half of Peru, near the city of Huaraz which is considered the gateway to the Cordillera Blanca, and stretches nearly 125 miles (200km) in length. 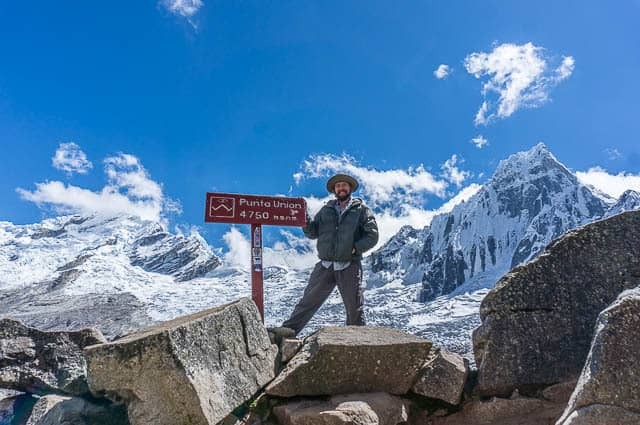 Here is where you will find a number of peaks that stretch up and beyond 19,000 feet, and 12 mountains that stretch above 20,000 feet, including Huascaran (the highest peak in Peru) at 22,205 feet (6,768m). Just for comparison, Denali, the highest mountain in North America rises up to 20,146 feet (6,140m) — and Huascaran isn’t even the highest mountain in South America. 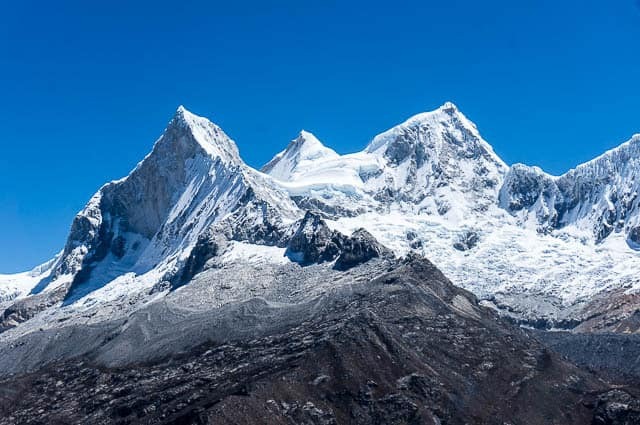 Huascaran National Park was established in 1975 and protects the vast majority of the Cordillera Blanca range… While the area is the home to world’s most extensive tropical ice covered mountain range, the area has experienced extensive glacial retreat due to a changing climate. 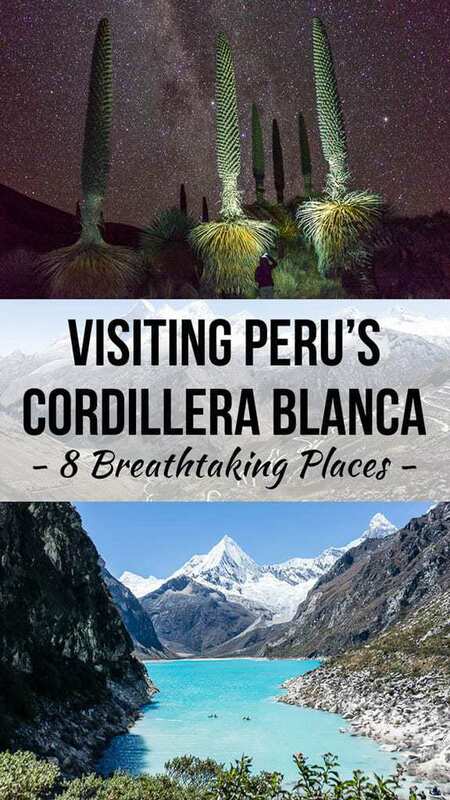 There is a lot to see in the Cordillera Blanca, but after spending a good length of time exploring it from all sorts of different angles, here are a few of my favorite place. Lagona Paron sits a few hours outside the little town of Caraz, Peru and is a place that you can access just by driving, no need for long hikes or anything. The color of the water here is just unreal and seems to change colors throughout the day depending on the angle of the sun, the weather conditions, and so forth. 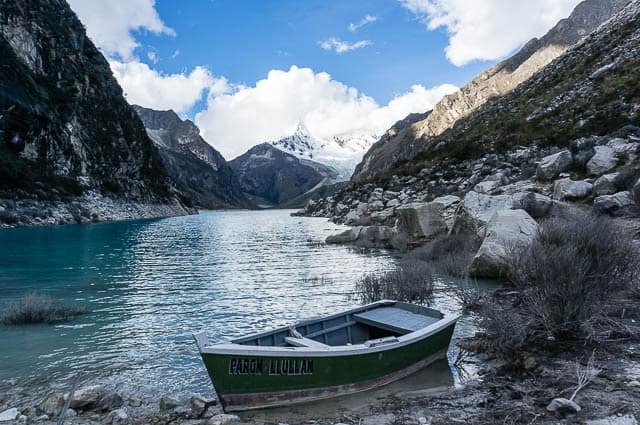 Lagona Paron is the largest lake in the Cordillera Blanca, and while the lake is impressive by itself, I think it is the surroundings that really make it magnificent. 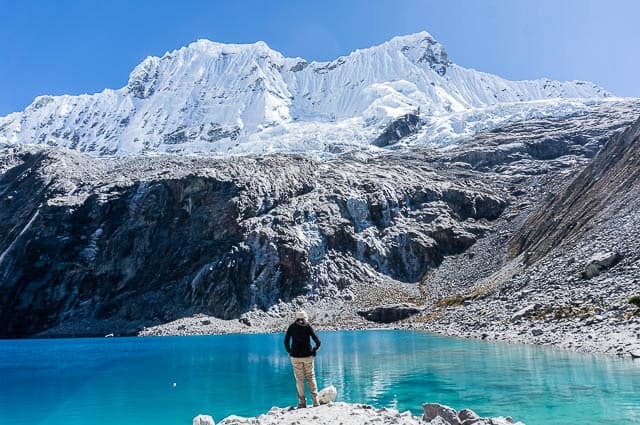 Laguna 69 is one of the most popular dayhikes in the Cordillera Blanca, and is visited by hundreds of visitors on any given day who make the bus trip from Huaraz. The lake requires a somewhat vigorous hike to reach, but the setting is spectacular with the ice capped mountains towering above a high alpine lake. 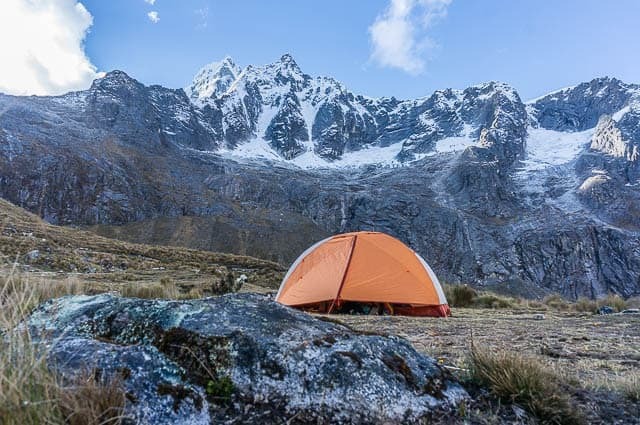 If you don’t want to visit with the crowds, I would recommend camping down below at he Llanganuco Lakes and getting up super early to make the hike in near solitude. 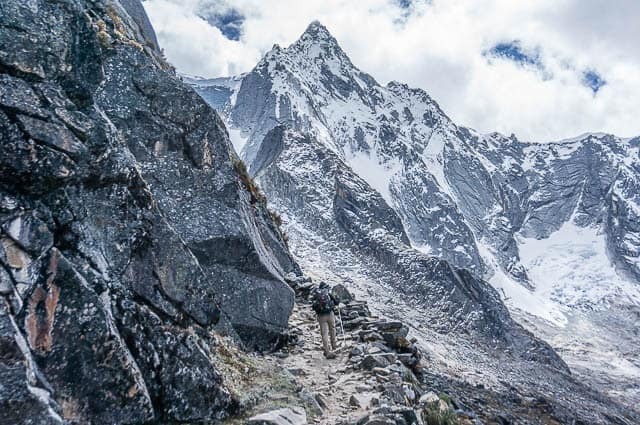 The Santa Cruz Trek was what made me initially start dreaming about traveling to South America… It is normally done as a three day hike, passing through some incredible scenery accessible only by foot, where you will hike over a towering mountain pass at Punta Union, past spectacular mountains, and down into a winding valley. 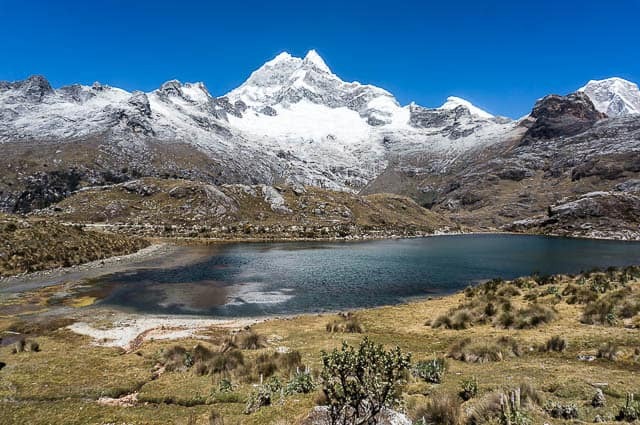 If you are up for a great multi-day hike, it is hard to beat the Santa Cruz Trek in the Cordillera Blanca. 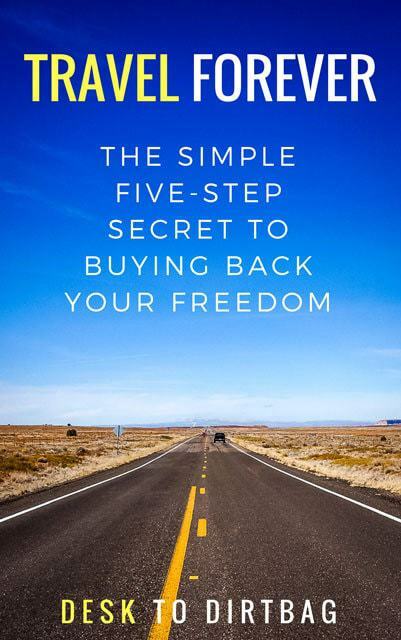 It is popular, but if you are going independently, you will find it to offer plenty of solitude. Punta Olimpica is the highest pass that sits on the road that traverses Huascaran National Park between the towns of Carhuaz and Chacas. 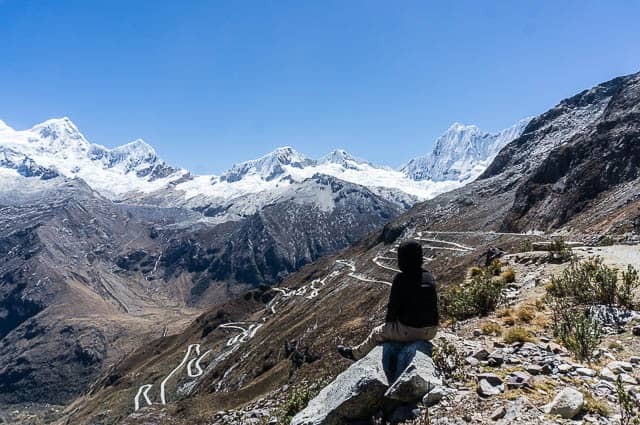 The pass offers incredible views of Huascaran (the highest mountain in Peru) and sits at 15,535 (4,735m) where you will find a tunnel connecting the east and west side. This tunnel is the highest tunnel in the world and is also the longest in Peru. The drive is in great condition since it is all paved, and there are great views on either side of the pass. This is another mountain pass on the road north of Punta Olimpica which connects the towns of Yungay and Yanama. If you drive both passes you can make a circle through Huascaran National Park combining both in a few days. The star here is the views of Huandoy, Chopicalqui, and Huascaran (from the other side). It is along this road where the popular hike to Laguna 69 begins, as well as the Santa Cruz Trek near Vaqueria. This road is unpaved and in pretty rough shape, but the bumpy ride is definitely worth it as you take in the amazing views. 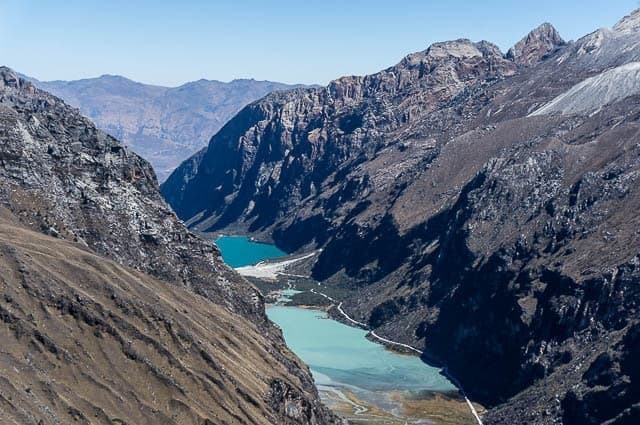 Down below you can also find the popular Llanganuco Lakes. They are beautiful in their own right, but nothing compared to Laguna Paron or Laguna 69. It’s hard not to visit Huascaran National Park and not be somewhat compelled to want to climb one of these massive peaks. 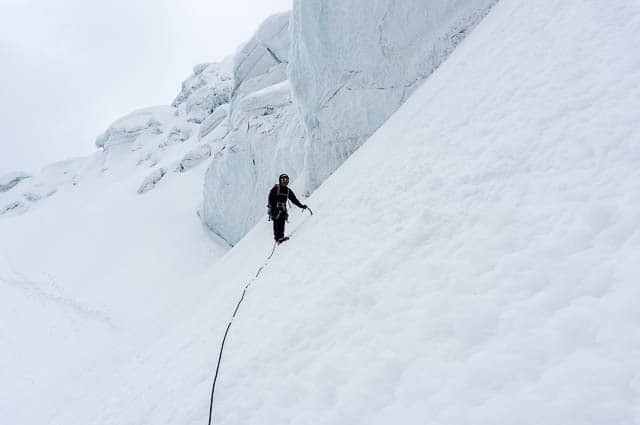 Generally speaking, the Cordillera Blanca is not a place where you should take mountain climbing lightly. The mountains here are really, really high, so problems with altitude is common, especially if you haven’t taken the time to acclimatize. Furthermore, the majority of the peaks are quite steep, so they can be intimidating if you haven’t climbed before. Pisco is one of the most accessible climbs for non-experienced mountaineers, as it doesn’t require experience or pose technical challenges. It will just take a few days to do. If you don’t have the time or money for a multi-day climb, you can get a taste of it all with a one-day climb of Nevado Mateo near Punta Olimpica. There are many guide services in Huaraz which will help you get outfitted or lead you to the top. I got in a climb of the incredible Yanapaccha, which required a few pitches of steep ice climbing to reach the 17,910 foot summit (5,460m). 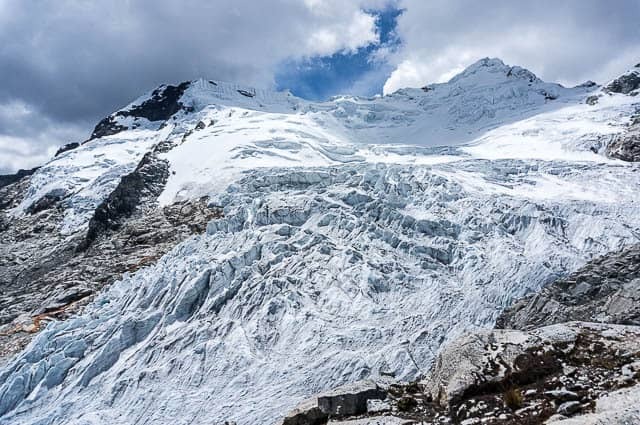 Pastoruri is a massive glacier that sits high in the mountains in the southern end of the Cordillera Blanca. The glacier spills into a high alpine lake and feels like a scene out of Alaska or Patagonia. 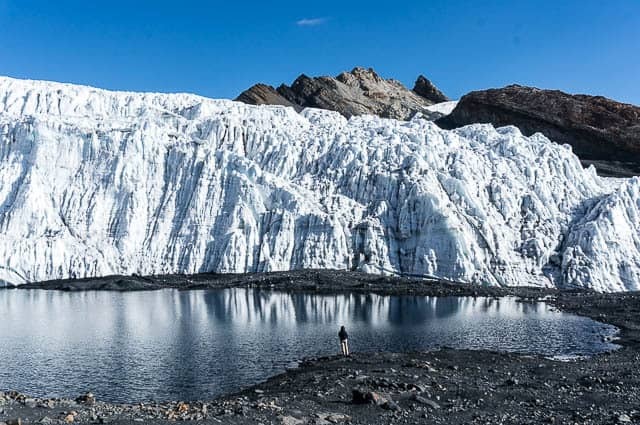 While the glacier sits over 5,000 meters, but it is very approachable thanks to the very short hike from the parking lot. I had heard that the glacier wasn’t so impressive now thanks to glacial retreat and climate change, but despite that, it was still a very massive and impressive glacier when we visited in 2017. If you visit in the afternoon, you will probably have the place almost to yourself. We were literally the only people there when we visited. The Puya Raimondii plants are native to Bolivia and Peru, and occur only in the Andes between elevations of 3,000 and 4,800 meters. These things are bizarre, almost straight out of a Dr. Suess book and tower over the barren surrounding landscape. You truly feel small standing next to these massive plants. 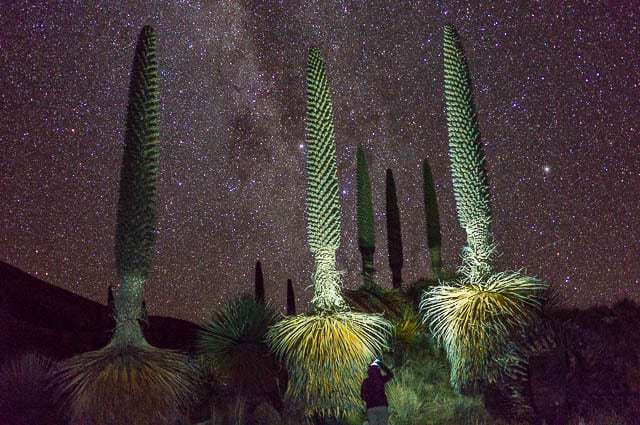 One of the coolest nights I spent in Peru was camped out near the base of dozens of Puya Raimondii plants which towered over us and stretch up into the bright lights of the Milky Way. The Cordillera Blanca is personally my favorite place that I visited in Peru… Every day we spent exploring there was spectacular and left me wanting more. While visiting Machu Picchu might be what many think about when visiting Peru, I think the Cordillera Blanca was so much more impressive and deserves to be experienced by every traveler to Peru. 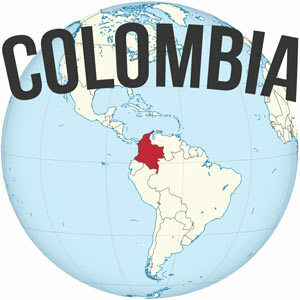 You have done such a nice job covering the Southern Cordillera Blanca, you have to come and explore the Northern side. 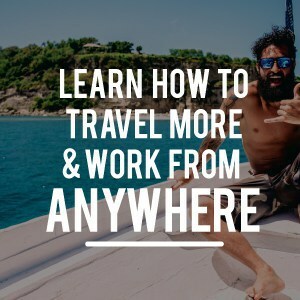 We would be happy to get you on some “trails less-traveled” that have some incredible lakes, glaciers, and indigenous cultures without the crowds. If you find yourself back in the area please contact us. Do you mean southern or northern? You left two comments saying exactly the opposite things… I mean, I made it as far north as Santa Cruz and as far south as Pastoruri… Explored lots more not included in the article, of course, I was even at the doorstep of your inn for an acclimatization hike and after we went to Yurac Yacu Cafe for dessert and coffee, then bought a couple hats from the wonderful local women there. I actually had a little trouble starting my truck that day, and thought I was going to have to come knock on the door of the friendly Canadian owned inn, haha, but in the end it started and we went on our way (later to a mechanic shop in Huaraz). Peru has been on my list for a long time! I’ve got to get out there soon, definitely want to go to Machu Picchu and that Santa Cruz Trek sounds amazing! Amazing pics, I really need to get there. 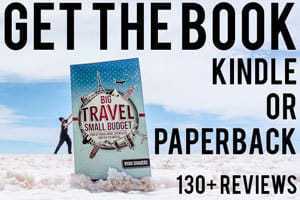 I’ve been to Peru but not the Cordillera Blanca. It’s pretty high on my bucket list!